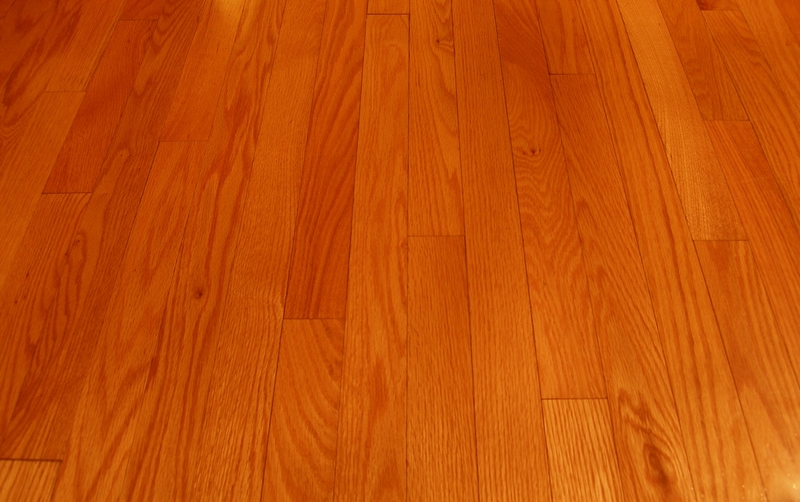 Over time, dirt becomes embedded in your hardwood floor’s finish, and it cannot be removed with normal cleaning. By removing this embedded soil, your floors can regain vibrance similar to when they were new! But, it requires a professional touch to do it properly without causing damage. We can also recoat the floor with a safe high quality water-based polyurethane coating that is ready for foot traffic in just a couple of hours. 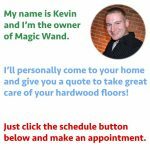 Schedule a free hardwood floor cleaning estimate by clicking below and we’ll come to your home, assess your floor, inform you of your options and give you a quote to professionally clean your hardwood floor and if it’s a candidate for a recoat we can quote that too. No sanding and no mess! 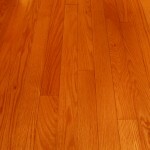 When your hardwood floor was brand new, it was first stained and then protected with a finish, typically polyurethane. This hard, clear protective layer is why your wood floors have a nice sheen to them and why they can continue to look great for years. But, over time dirt and grime becomes embedded in the finish and it cannot be removed with standard mopping. 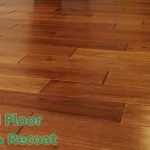 When hardwood floors start to look dull and dirty, most people think they need to be sanded, stained and refinished again. But, the truth is your floor’s original vibrance is hiding just beneath the surface, waiting to be restored with a professional cleaning process. By carefully removing the top layer of ground in dirt, we can bring back to life your hardwood floors without fumes, dust or hassles! And, after the cleaning we can re-coat the floors with a fresh layer of finish to protect them and extend their life before sanding is required. This process does not add color or repair scratches but it can bring fresh life to your hardwood floors for a fraction of the cost of sanding, staining and refinishing and restore their original vibrance! 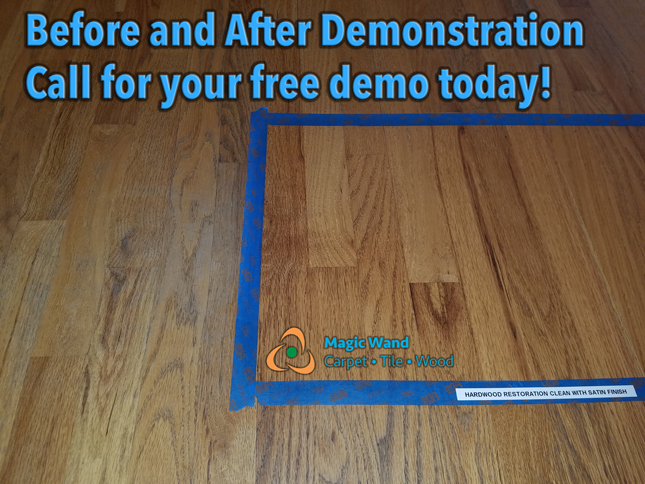 Give us a call today, or send us a text message, and let’s schedule a free demo restoration of your hardwood floors, and at no cost to you we will perform this process on 1-2 square feet of your floor so you can see the dramatic difference a professional cleaning can make. 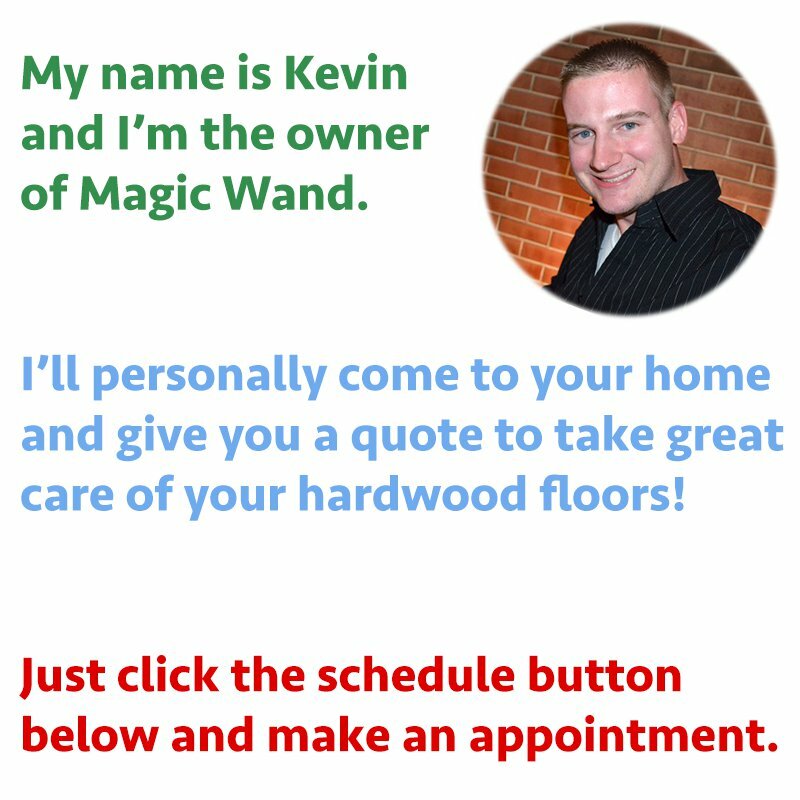 And, while we are there we can print off a quote to clean and restore your home’s wood floors. Enjoy Your Clean, Classy Home! 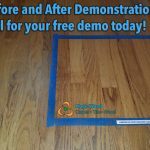 Wiping your wood floor investment with a pad or mop is not enough. Professional cleaning and maintenance is required to keep your floor in great condition. If you eventually wear through your original finish, you’ll damage the floor. By cleaning and reapplying finish before this, you’ll enjoy a clean floor that reflects light with a satin or semi-gloss beauty. Dirt on your floor grinds and erodes away the finish. Give us a call and let Magic Wand restore your clean, classy home! Wood floors can be a beautiful luxury and we can make them clean again!